The quality of your Ayahuasca ceremony is completely dependent on the preparation you put into it. There is a lot you need to know about how to prepare for Ayahuasca, and on this page we will do everything we can to explain this to you in detail. Now, there is a lot that goes into properly preparing for your ceremony. Proper Ayahuasca preparation is crucial to ensure you get the most from the medicine. For a lot of people, having your first ceremony is an experience that you have probably been looking forward to or anticipating for months, or maybe even years. But the first thing in order to have the best ceremony that you can… is to release all expectations. The attitude that you have when approaching the medicine is your greatest determining factor as to if you’ll really enjoy your experience or not. Before attending your Ayahuasca ceremony, really check in with yourself. Ask, yourself, are you doing this, or do you want to do this “just because” or “just to try it” or maybe you’re simply looking for an altered state? If this is why you’re approaching this medicine, I highly recommend you either look somewhere else, or you check in to make sure that before you drink Ayahuasca, that your intentions are really in the highest place. It’s not a drug, or a psychedelic hallucinogen that you do because you want an Ayahuasca trip. It’s a sacred plant that ancient Amazonian tribes have been working with for thousands of years for the deepest energetic and physical healing, and to connect with the depths of Who You Really Are – your Divine Source, the Limitless Infinite Potential Source Energy that you are. You’re so much more than this physical body, and this mind reading these words. Whatever you want to call it, your Spirit, Soul, Higher Self, there’s a part of you that exists that is so much greater and more powerful than this physical human you can ever be. So, if your intentions and attitude when approaching your Ayahuasca ceremony are about inner work, healing, and in some way or another, your evolution and growth, great, then, and only then, would I recommend that you proceed with seeking out the medicine. Or you can vomit all night, and energetically be wrung out of all the things that do not serve you… which of course, is very healing in it’s own way and will leave you feeling like a brand new being. From there, the best way to proceed with your Ayahuasca preparation is to eliminate certain things from your body. No matter who leads your Ayahuasca ceremonies, at the end of the day, your free will always prevails, and you will do whatever you want… but if you really want to go deep and get all that you can with the medicine, then I would follow these guidelines below exactly as outlined. After all, if you’re going through such lengths to experience this medicine for yourself, it is highly recommended that you everything that you can to get the best experience possible, and following these guidelines will ensure that happens. One thing that can happen if you don’t, is that the medicine won’t be able to work within you, since your body will be “clogged” either energetically or physically. By not following this, you won’t feel the effects anywhere close to as much as if you adhere to these guidelines and create the space for the medicine to work inside of you. – Avoid recreational drugs including marijuana for at least 2 weeks prior. – Avoid alcohol for a minimum of 48 hours prior. 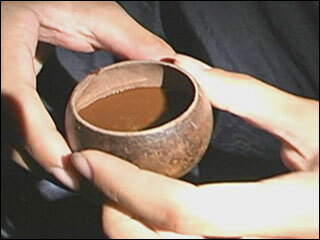 – Ensure you are well hydrated, but please avoid drinking too much water directly before or during Ayahuasca ceremonies. – It’s suggested that you avoid foods with MAOI inhibitors for at least 24 hours before drinking Ayahuasca. This includes: fermented or non fresh foods, cheese, miso, tofu or other fermented soy products, dried fruits, tamari or soy sauce, sauerkraut, pickled foods, protein extracts, processed or smoked meat products, yeast/brewers yeast, (yeast in baked goods is OK). – We also suggest that in the weeks before drinking Ayahuasca, you prepare your body to receive the medicine. This means avoiding fried foods, caffeine, spicy foods, dairy, pork and refined sugars. This is especially important in the 48 hours prior to your ceremony. Basically, fresh clean and natural foods with a high ratio of fresh vegetables and fruit is the best way to prepare. – Many medications and natural supplements are not complimentary with this work and can be dangerous especially MAO inhibiting medications, SSRIs and or antidepressants. For a full list of supplements and medication not compatible with Ayahuasca, please visit our page on Medical Guidelines. And if you apply to one of our retreats, please advise us of any medications you have taken or are taking so we can discuss your individual situation. – Meditation, yoga or other mind/body/spirit practices are very complimentary to this work, which teaches you to focus your energy and connect to breath, which is very useful during the process, however this is not mandatory. – Again, reflect on your intention… and let go. Sometimes that which we think we need to work on isn’t what comes up during ceremonies or your retreat at all, however, spending some time inquiring within, about what you want to heal or let go of, prepares you to open up to whatever is being brought forwards in your ceremony. – Allow yourself to be curious, set intentions for your attitude and approach during this sometimes-challenging process and ask for assistance from whatever sources of spiritual support you resonate with. If you’re attending just a one-time Ayahuasca ceremony, then the basics of warm clothes (in layers so you can remove / add some as necessary) a flashlight, water and depending on where you drink, your own pillow and blanket would guarantee your highest comfort. It’s also nice to bring crystals or any sacred items that are meaningful to you during your ceremony. -A personal object of power, to give you strength, heart connection, and a way to contact your angels/guides. A crystal/pendant/small totem, etc. – A little something personally significant sacred that you would like to add to our altar in the Maloka during your stay, such as a crystal or mineral. – Small flashlight or head torch – required in ceremonies, which are conducted in pitch darkness and for walking around the property at night. Bring spare batteries. We can definitely recommend a headlamp over a flashlight — it’s just so much easier, especially when under the force of the medicine! – Rubber boots, or other waterproof footwear. – Comfortable loose, light clothing that keeps you covered. – Yoga mat if you like. – Natural toiletries. non-plant-based toiletries and cosmetics are incompatible with these medicines. This means non-natural toothpaste, moisturizer, makeup, deodorant, bug-repellent, shampoo, sunscreen, etc. Many products marketed as “natural” in fact contain chemicals and salts so please read the ingredient list. We recommend brushing your teeth and moisturizing with organic coconut oil and just releasing the need for all other toiletries during this time unless you can find totally plant based products. – Books: while it’s OK to read, we actually recommend that you spend as much time as possible in stillness and in silence with yourself. Books can distract from your own process. However if reading is a must for you, we recommend books on spirituality, philosophy, healing, nature or personal development to keep you focused on your purpose. – Electronics: it is better to avoid bringing too many electronic distractions. It is appropriate to listen to a little gentle music but be mindful of others’ space, so please use headphones if you are to do so. Cold Weather: As mentioned, the winter months in Washington State are particularly cold and wet. This can be a really unpleasant, even dangerous combination! Therefore it’s essential that you bring as much gear as possible. Remember that cotton gets very cold and wet. It’s best to pack fabrics that are waterproof or at least resistant to water. – Several warm sweaters or blanket, as the evenings will likely get below freezing. -Waterproof outer shell, jacket, or Poncho. Warm Weather: Although we’re still several months away, of course the summer packing list will be much lighter. The best Ayahuasca preparation you can do for yourself is to have clear intentions, to release your expectations, and to clean your body, both physically and energetically, by abstaining from certain things (listed above) prior to your ceremony. If you are interested in really going deep with the medicine, and feel a strong call to Ayahuasca and the profound healing, awareness and transformation it can bring you, then maybe one of our Ayahuasca retreats can help you. Feel free to learn all about how we work with the medicine, our center, our team and what this profound experience can do for you, by visiting this page here. We look forward to the possibility of meeting you in person, and thank you so much for feeling the call to the medicine, and more so, for the path of healing, and the inner journey that you are on.